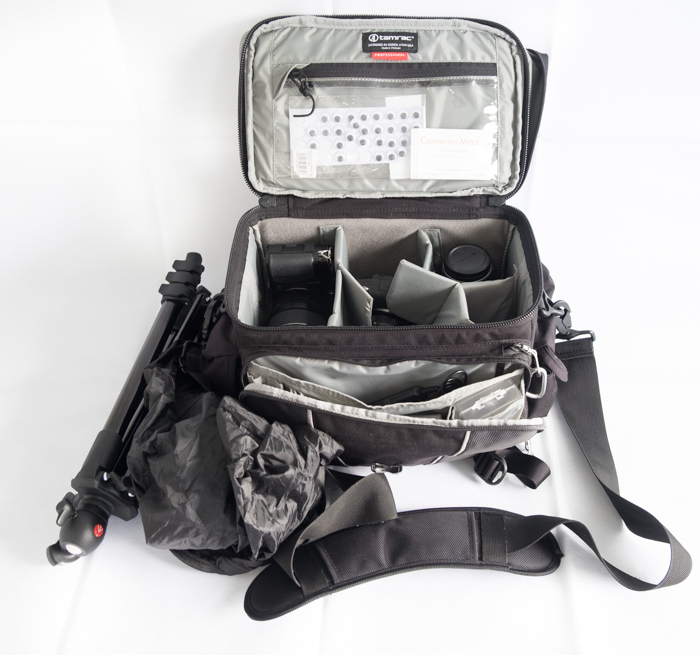 Do you start a trip out by digging through all your kit to pack a camera bag? Have you ever had to leave the house in a hurry with no time to pack a camera and regretted it? A simple solution to this is a grab bag. If you’re like a lot of the photographers I know then you’ll have far more kit kicking around than you want to carry. Some days you’ll need this kit and some days you’ll need that kit but you’ll always need the basics. Why not pack a bag you can grab every time you leave the house? 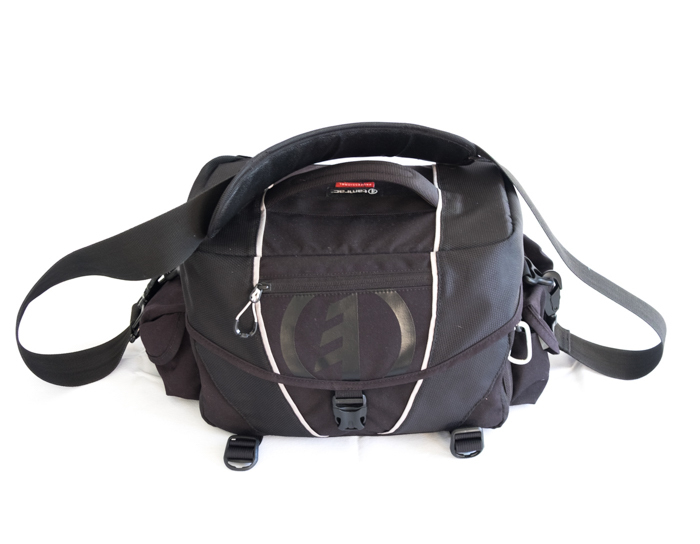 My grab bag is a Tamrac Stratus 10 shoulder bag. I have experimented over time with styles and sizes but prefer a shoulder bag to a backpack. A shoulder bag for me is quicker and quieter to get my camera out of. I can also get my camera out and raised without taking my eye of the subject. If I get forward notice of what I’m about to shoot then I’ll often change what I take but this grab bag is my ‘one-size-fits-most’ option. The important thing is that I’ve got all I need to survive a shoot but not so much kit that I can’t carry it around. I am going to show you the contents of my grab bag as it is now, in the cupboard without cheating. My main camera body and a spare. I admit that two bodies is a luxury but its good insurance against one stopping working for whatever reason. There’s also the big advantage that I’ve got two different focal length lenses ready to go so I can catch a wider variety of action. This comes in really handy when I’m shooting outdoor portraits, it means I can quickly jump from the frame filling close-up to the wider angle environmental style of portraiture. Often you see pictures of people carrying their camera bodies with no lenses fitted but I find it far quicker and easier to have the cameras ready to go. I also carry a tough and waterproof point and shoot that’s great when it’s pouring with rain it’s also useful to use it as a prop. I chose from the Olympus Tough TG range. 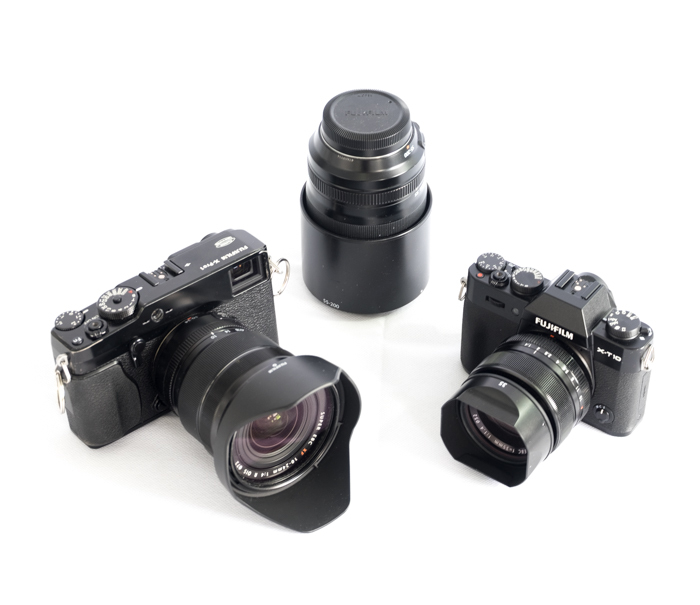 It’s always tricky choosing which lenses to carry but I have settled on these three. The widest lens I own for close up indoor work. The fastest lens I own because sometimes you just need to open wide and let in as much light as possible. A mid-range zoom that gets the balance between weight/size and ability to zoom in close. 3 Spare batteries, cards and cleaning cloth. Spares and a lens cloth are something that you can’t really get away without. 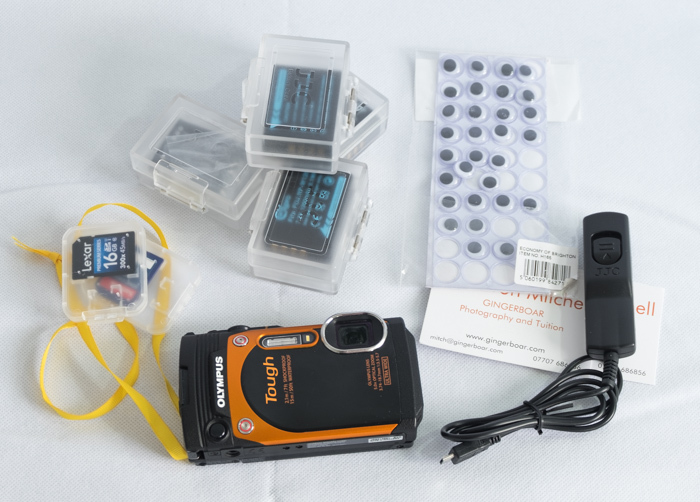 It’s all too easy to forget to charge your camera battery or empty the memory card before you pack everything away. Another good point is that the situation might change and you end up taking far more shots than expected. The same goes for the lens cloth, it only takes one sneezing child to get too close and that’s your lens useless until it’s cleaned. Using a remote shutter release makes a huge difference when you’re using your camera on a tripod. Basic wired ones are cheap and easy to find but experience has taught me to go for a wireless one. 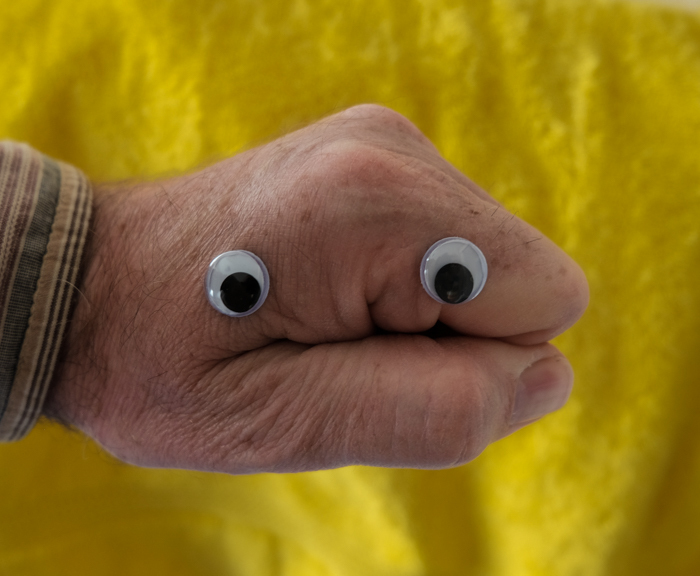 The googly eyes, well, they’re there to make me smile, but are also a simple lightweight prop to get models to engage. You could add them to a flower to make people stop and look, or put them on your hand to make a child laugh during a spontaneous portrait shoot. If people see you wandering around they often ask you who you are and what you’re doing. A business card gives you the chance to advertise while you are working and that added openness puts people at ease. On the rare occasion security officers stop to ask what you are doing a business card adds authority as you explain. We all know a tripod is an essential piece of kit. I carry a lightweight but good tripod fastened to the outside of my bag. If you haven’t space for a rigid tripod a flexible tripod is a good alternative. Even with the best weather forecast there could be rain. 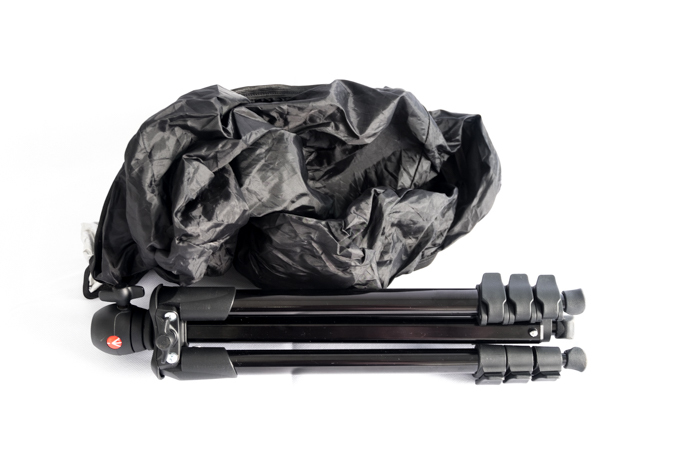 This makes a waterproof bag cover an essential piece of protective equipment. Some bags have them built in but if not they are cheap to buy and could save you a lot of heartache. Tip : Choose a bag slightly bigger than you need so that there is always a little extra space. This gives you the flexibility to grab an extra piece of kit for a special shoot. The whole lot fits in a bag I leave ready to go. You’d be amazed at how much easier it is when you know that whatever photo opportunity arises you have a kit bag ready to grab. Even if you’re only shooting in the yard you can be happy that you won’t end up walking back inside for something. Do you have a grab-bag? If you do then that’s great, if you don’t then maybe it’s time you did. Next post Portraits – A simple guide to 7 different styles.